The push is on for Parliament to quickly ratify the Comprehensive and Progressive Trans-Pacific Partnership (CPTPP) trade agreement so that Canada can reap the benefits that come from being an early adopter of the deal — and there's a race on now to beat other countries to the punch. The push is on for Parliament to quickly pass implementation legislation for the Comprehensive and Progressive Trans-Pacific Partnership (CPTPP) trade agreement so that Canada can reap the benefits that come from being an early adopter of the deal — and there's a race on now to beat other countries to the punch. The agreement comes into force 60 days after six of 11 signatories have ratified it through enabling legislation. So far, four countries have formally ratified the deal: New Zealand, Mexico, Japan and Singapore. Two other countries are in the advanced stages of debate: Vietnam and Australia. Canada's CPTPP implementation legislation, Bill C-79, passed the House of Commons on Tuesday and it is just now starting its journey through the Senate. A number of industry groups representing significant segments of the Canadian economy, including cattle ranchers and the meat and pork councils, are urging a speedy passage so Canada can get a leg-up on other CPTPP partners. Observers say being among the first six countries to adopt the deal could be economically significant as it would give Canada "first-mover advantage," allowing it to establish itself in important supply chains early on. In a letter sent to senators and subsequently shared with CBC News, a group of farm interests is now asking the Senate to forego its usual parliamentary processes to ensure "expeditious ratification" so the deal can come into force by December 31, 2018 — so there can be tariff relief both this year and next. "Canadian beef and pork exporters would benefit greatly if the agreement can come into force and we enjoy the first tariff cut on our products before the end of 2018. If we achieve the first cut in 2018, even if it is the last day of the year, we will then receive the second tariff cut on January 1, 2019. "To meet this ambitious objective, we recommend minimal to no further witness testimony at the committee stage," says the letter, jointly written by the Canadian Cattlemen's Association, the Canadian Meat Council, the Canadian Pork Council and National Cattle Feeders' Association. "If we miss this timeline by even one day, then the tariff reduction schedule on our exported beef and pork is pushed back a full year. 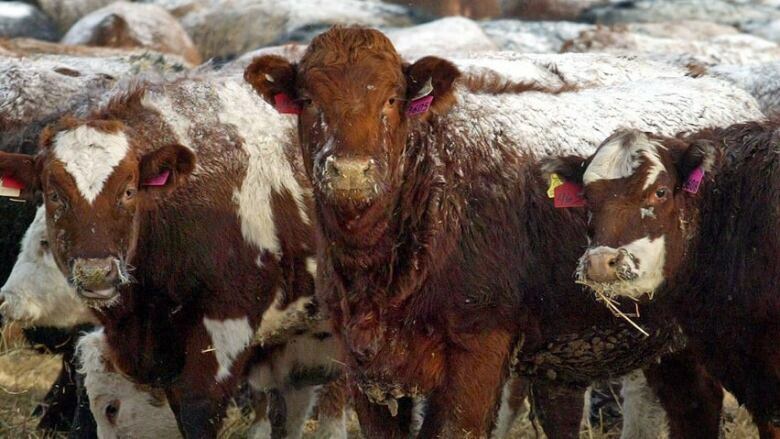 This represents money in the pockets of Canadian farmers that we cannot afford to lose." The benefits of the CPTPP are said to be substantial as it will give Canadian companies more tariff-free access to the world's largest trading bloc, representing some 495 million consumers. The deal will eliminate up to 95 per cent of tariff lines among the parties. The chief economist at Global Affairs Canada has said the CPTPP will generate long-term economic gains for Canada in excess of $4.2 billion. 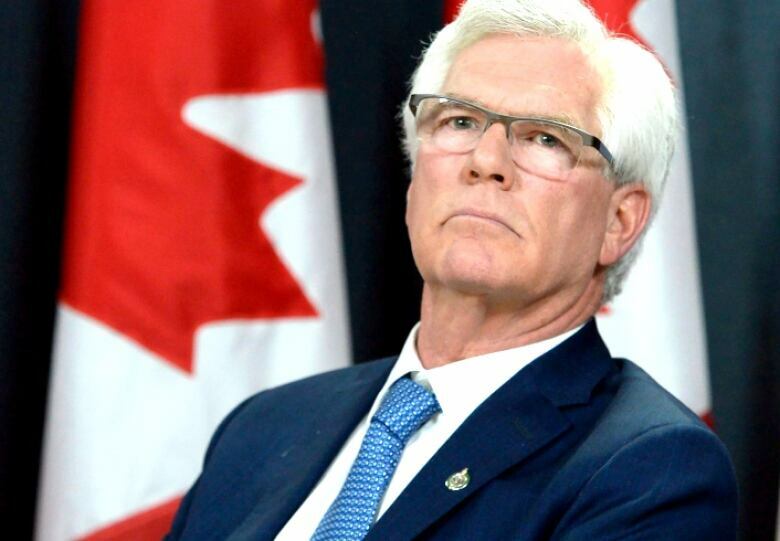 International Trade Diversification Minister Jim Carr said Thursday senators should pass the bill before the end of November so Canada can start cashing in. "It would be very helpful, senators, for Canada to be part of this initial group [of six], and we know that the date is fast approaching," the minister said Thursday to the Senate's trade committee. "Early November is a target we shouldn't miss." Independent Ontario Sen. Sabi Marwah, the bill's sponsor in the Red Chamber, also has been busy making the government's case to his Senate colleagues that the agreement should be ratified "as soon as possible." "If other countries are able to gain first-mover advantage before Canada, then Canadian exporters will have a more difficult time gaining market share," Marwah said in a recent speech. Marwah wasn't available for an interview with CBC News. Carlo Dade is the director of trade at the Canada West Foundation and has written extensively about this agreement and its past iterations. He said Canada should act now to take advantage of the U.S. "shooting itself in the foot" by walking away from a deal they had helped draft. U.S. President Donald Trump said he wouldn't sign the Obama-brokered TPP. 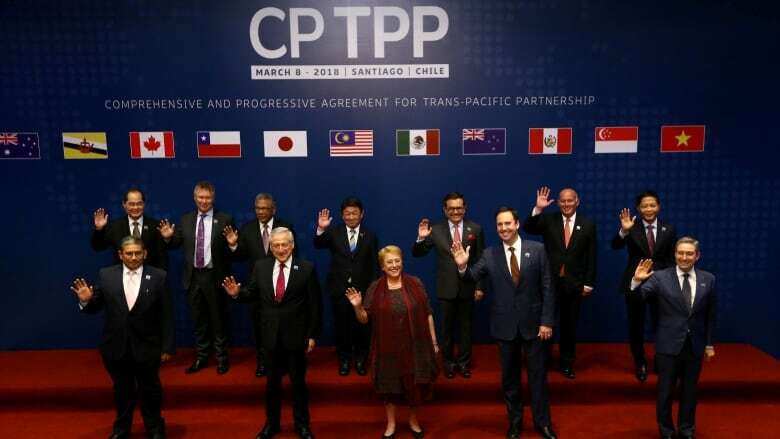 The other TPP countries subsequently pressed ahead without him, reaching an agreement-in-principle on a moderately revised deal earlier this year. "The rush is because there is huge benefit to us joining the agreement. The dollar and cents stuff is significant. This isn't theoretical. It's taking market share out of the pockets of the Americans. It simply doesn't get any better for us on the trade front," Dade said in an interview with CBC News. "We want to start clocking benefits." A concrete example of this first-mover advantage can be found with Canadian beef and pork exports to Japan, Dade said. If Canada is part of the agreement when it first comes into force, he said, beef and pork exporters will have "the first crack" at using their preferential market access to displace U.S. exports — which will be more expensive because they'll face a higher tariff. While Canadian beef producers exporting to Japan can expect a reduction in tariffs, U.S. beef exporters will still be subject to 38.5 per cent tariffs. More than 30 per cent of Japan's beef imports come from the U.S., while Canada supplies just 2 per cent. With CPTPP, there's a lot of room for Canada to take sales away from the U.S.
"It's a limited-time offer. The Americans are eventually going to get their act together. So our delay is eating into the money we have on the table," Dade said. Other tangible benefits that will be felt right away include relaxed visa restrictions on Canadian businesspeople travelling to the region for work, Dade said. And while cattle farmers are eager to secure Bill C-79's passage, other groups — like Canada's dairy farmers and some interests in the auto sector — are urging senators to take the time they need to adequately study the legislation before committing Canada. Importantly, dairy farmers want senators to probe the government about financial supports for their sector, which was forced to concede quota to allow for more foreign imports. They also want assurances that the government will guard against "double-dipping" of dairy quota if the U.S., which received some access in the USMCA, later joins on to the CPTPP. Dade these are not adequate reasons to delay. "We're not going to change the agreement. We're not going to add new things, and we're certainly not going to find anything new," he said. Dade said he's crunched the numbers and there have been dozens of committee meetings (64, in fact), with hundreds (503) of stakeholders testifying on CPTPP since the deal was first floated by the former Conservative government in 2012. "How much more do we really need to hear? We've debated the agreement endlessly," he said. The Conservative leader in the Senate, Larry Smith, said he supports a speedy passage of the bill. "We have a sense of urgency, we need to act expeditiously. It is not about acting impulsively. It's about acting and get this done. This is important. We want to know now that we are going to beat the other three or four who are trying to get in in front of us," Smith said. Liberal P.E.I. Sen. Percy Downe, meanwhile, bristled at the suggestion that the Senate should hurry up and pass a bill they've only had before them for a couple of days. "I appreciate the urgency and it may very well be that we pass it quickly, that our answers are secure. We should make sure we know what we are passing and take our time to do the job," he said.